So here I am first day new industry! I'm looking forward to posting new questions and picking at the international knowledge base! It will be interesting to see the difference in food regulation to this new industry. Best of luck, and I look forward hearing to hearing more about this! You have a wealth of knowledge with you, so i'm sure you will do very good in your new industry! Very interesting! Can you share more about your products? Looks like I will have to combine the new SFCR with the current cannabis regulations. I will keep everyone posted as I learn more! Is there any backing as to why the cannabis and their byproducts are being approved to be legal? Similar to what Portugal did with their heroin problem or do you think this is more to compete against the tobacco monopolies? Is this what they mean by being on the cutting rolling edge ? When you start talking about taking a job in this industry, you find out really quickly just how much of the population actually uses it. So why not, if its government controlled, that means its safer, not cut with things like fentanyl or heroine (yes that does happen all over the world and people die as a result) Plus we are wasting soooooooooo much money policing regular folks for having one joint in their pocket. If this didn't sit right with my morals and integrity, I would never have taken the job. But, the $$$$$$ is pretty good! I look forward to this Cannabis thread growing as the market and regulatory framework continues to mature. I am the Quality Manager at an ERP Software company that helps companies comply with seed-to-sale tracing systems. 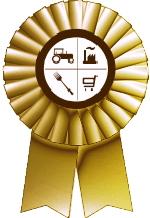 I bring over 12 years of Food and Beverage industry experience in food safety and quality for both USDA and FDA regulated products. Along with this new industry, we have a lot to learn and I would be more than happy to share the expertise I have learned over the last year (and continue to learn daily) with anyone that is interested. And in turn, I would love to learn from you as well! - Networking for special labs to test your products when it comes to Food, Beverages and Cannabis. I look forward to hoping hearing from some of you. Edited by Charles.C, Yesterday, 05:08 PM. I'm definitely tempted with the $$$$$$$ too and the number of calls from recruiters is staggering! but i'm worried to be associated with the industry and not be able to cross south of the border, my family is based there, so not ready to transition yet. Best of luck! Where could I reach out? Would it be a problem if I'm a U.S citizen trying to work in Canada? I wouldn't mind the move if its worth it. I live in the midwest where the climate is pretty much the same. Oh, interesting! Best of luck, Scampi! I'm looking forward to future discussions on this industry. I'm going to say we are soon going to have yet another section to add to the IFSQN board!